Is that a dynamic bibliography? In other words, if you add to it, does it update in the Drupal page? I'm guessing yes . . . Very cool. Thanks for posting it. Yes - I've tested it out. It's not *instantaneous* but an update I made about an hour ago has already appeared. Hi there, great idea! Does the PHP text format need any special settings? Hmm. 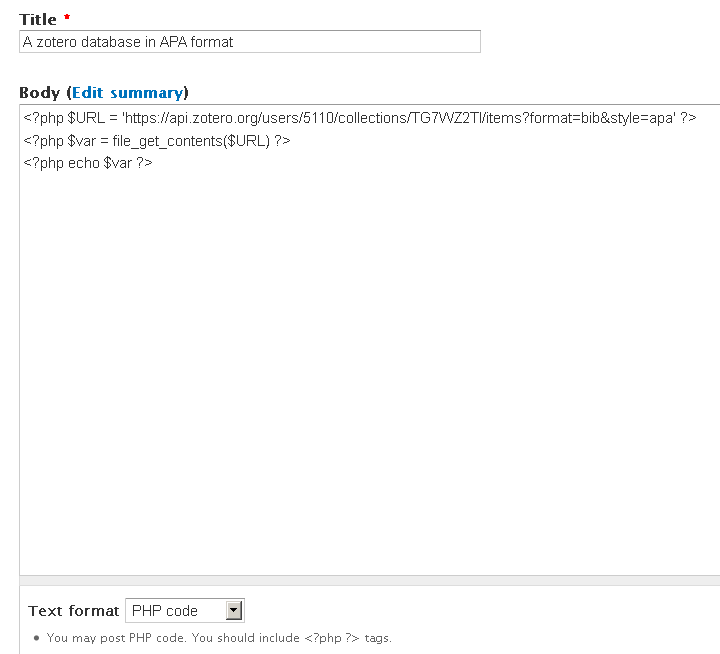 I don't know if the PHP text format needs any special settings. This was just a proof of concept done within Drupal. Perhaps a test within WordPress would confirm whether it's necessary. But I guess the inclusion is only possible if you set your Zotero library to public? this is great, trying it out for drupal. However although the feed itself provides foreign characters correctly, e.g. 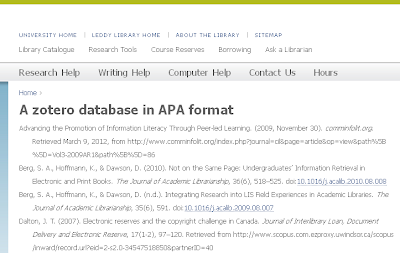 https://api.zotero.org/users/19712/tags/-education/items?format=bib, something messes them up, I guess it is the php echo, so we get ć instead of ć etc.. Don't suppose you have any ideas? Thanks, this is a really promising technique. Can you adapt it to get a slice of your Zotero collection? 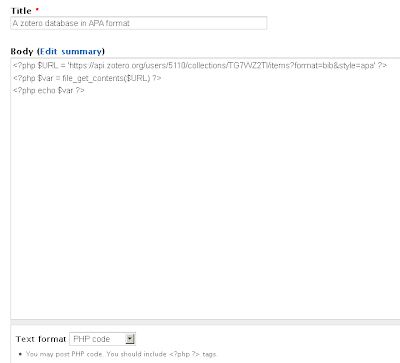 For instance, to return the results for a single source or a given author's works from within the collection? If so, this would be the solution to a lot of little problems for me.